Sun Street Centers Residential Recovery Program in Salinas, California provides drug rehab and alcohol addiction treatment. 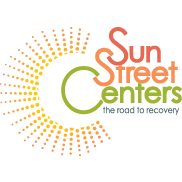 Specializing in treating Persons with HIV/AIDS, Men, DUI/DWI offenders and men for drug addiction, Sun Street Centers Residential Recovery Program also provides substance abuse programs for alcoholism. Our Residential treatment and substance abuse treatment programs are personalized based on our clients addiction treatment needs. For a private consultation with Sun Street Centers Residential Recovery Program, call(831) 753-5145 today! Door To Hope Women's Recovery Center in Salinas, California provides drug rehab and alcohol addiction treatment. Specializing in treating Women and men for drug addiction, Door To Hope Women's Recovery Center also provides substance abuse programs for alcoholism. Door To Hope Women's Recovery Center provides Residential treatment treatment. Call Door To Hope Women's Recovery Center at (831) 758-0181 for more information on our drug rehab program. Door To Hope Nueva Esperanza in Salinas, California provides drug rehab and alcohol addiction treatment. Door To Hope Nueva Esperanza features specialized services for Pregnant/postpartum women, Women, Residential beds for clients' children and generalized drug rehab and alcohol addiction treatment. Door To Hope Nueva Esperanza provides Residential treatment treatment. For a private consultation with Door To Hope Nueva Esperanza, call(831) 758-0181 today! Alcohol Abuse Recovery Centers Salinas, CA drug alcohol rehab concentrates on helping addicts get sober and clean through counseling, clean and sober housing, and Alcohol Abuse Recovery Centers Salinas, CA detox services. Calling is just the first step! Start your recovery with the best help.